Before the time of prescription medication, people and animals relied heavily on the natural world to help them heal and stay healthy. As the world developed and scientific advancements were made, medicine became something that did not treat the root of a problem, but rather relieved the symptoms of a problem. This has lead to serious health issues being suppressed and not treated directly. Most drugs are prescribed to treat symptoms of an ailment, not the actual ailment itself. Vetisse is a natural line of herbal remedies that was created to stimulate healing and recovery in your pet, getting to the root of a health problem. For this reason, Vetisse includes natural remedies that you can apply to your pet externally, and ones that pets can ingest internally. External products, like our ointments and creams, deliver healing stimulants and immune system boosters on the spot of injury, while killing pathogens in the wound to prevent future infection. The Vetisse liquid herbal blends stimulate recovery by working internally in pets, relieving the root problem of health issues. 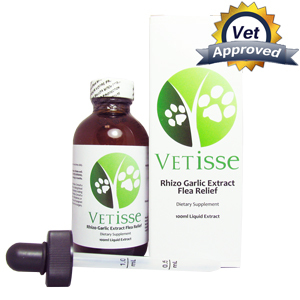 Vetisse products were developed for the most common pet ailments. This includes health issues ranging from digestion, skin conditions, infections, and allergies, to even more serious common conditions, like heart and kidney disease. Many of the Vetisse products can also be used together, in order to improve the overall function of your pet’s organs and immune system. Our holistic remedies offer you the opportunity to treat your pet’s condition without compromising their health with the potential adverse side effects of synthetic drugs. 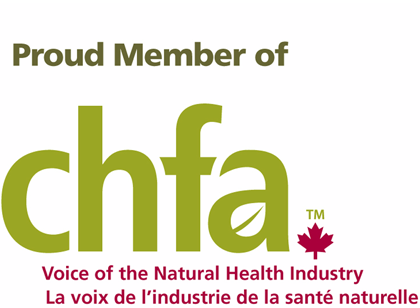 Our products are manufactured in Kelowna, British Columbia in accordance to Heath Canada and FDA guidelines. Fleas are parasites which feed on the host’s blood whether it is your cat or dog. 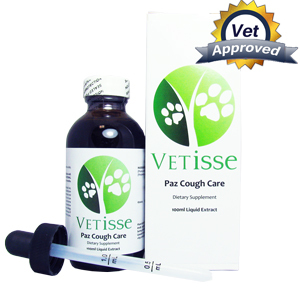 Paz Cough Care is a product which is meant to treat respiratory problems in cats. The different all natural ingredients in Paz Cough Care are combined together to fight off and alleviate respiratory problems in your cat. Milk thistle is a plant which has been used since ancient times as a remedy for liver damage because it successfully regenerates liver cells. 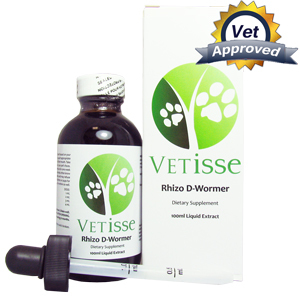 The important ingredient in Rhizo D-Wormer is Male Fern rhizome. Male fern contains filicic acid, which, when taken internally, aids in the expulsion of any parasites present in the intestines, especially tapeworms and hookworms.